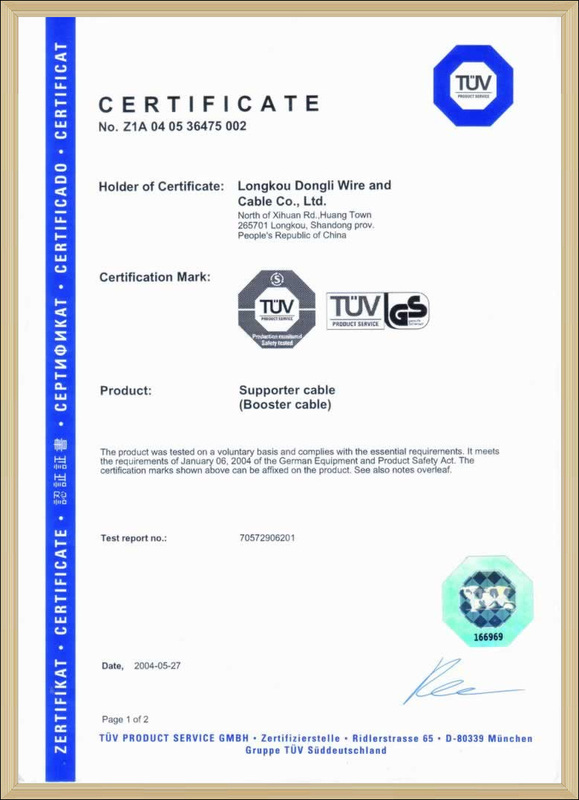 Longkou Dongli Wire and Cable Co.,Ltd is established in August, 1987, located at Longkou, Shandong, China. which is the subsidiaries of Dongfang Electronics Co.,Ltd. (Shenzhen Stock Code:SZ000682). We mainly produce power cords, extension cords, lights, booster cables, power distribution cable,construction cords,PVC particles,emergency kits etc.with multi-national certifications of CCC, UL, CUL, CSA, GS, VDE, ETL, etc. In 1999, Dongli became a ISO9001 Qualify System Certified Company.Our products are marketed and sold to USA, Germany, France, Japan and over 20 other countries throughout the world and to customers like Walmart, Homedepot, Emerson, Lowe’s, Costco, GE ,Yadu etc.. It covers an area of 46000 square meters with more than 400 employees,including 22 R&D and 25 QC.It has a wholly-owned subsidiary as “Longkou Dongli Inernational Trade Co.,Ltd.” and a representative office in North America. 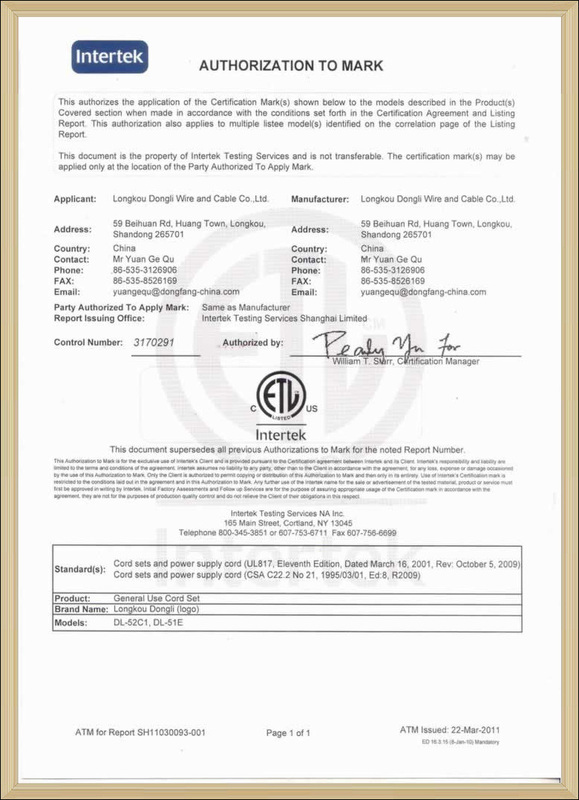 The registered capital of Dongli amounts to three million US Dollars. “Treasuring environment, economizing resources” as our perspective, the theory of being " Innovation, Passion, Cooperation and Integrity ” is implemented in our daily operation, in the hope of meeting customers’ requirements by supplying stable quality products at reasonable prices,timely delivery and excellent services.